INDIANAPOLIS -- A knife-wielding man injured three people in an attack in downtown Indianapolis after being told to stop playing a siren on a bullhorn, authorities said Sunday. James Anderson Jr., 28; Edward Lee Atkins, 26; and Johnny Gilson, 46, were injured in the attack Saturday afternoon on the American Legion Mall and outside the Central Library located across the street, a police report said. 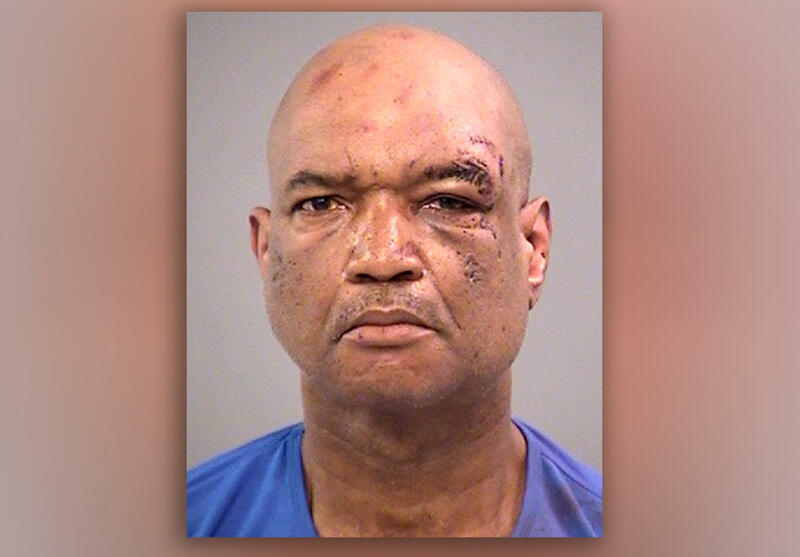 Gary Madison, 57, of Indianapolis, faces three preliminary charges of battery by means of a deadly weapon, jail records showed. Four people, including Madison, were hospitalized after the attack, two in critical condition and two in serious condition, Indianapolis Fire Department Battalion Chief Rita Reith said. Their medical conditions Sunday were not clear, but a police report said Madison was being held at the Marion County Jail. "The guy pulled out a bullhorn and looked at me with evil eyes," Brandy Smith told CBS affiliate WTTV. "I told him to stop. He came after me with a knife." Taylor George told The Indianapolis Star she was with a group of family and friends when the man began playing a siren on a bullhorn. George said she and a female friend asked him to stop. She said her friend has epilepsy and worried the noise would trigger a seizure. "He's down here a lot," George said. "He has been down here before with the bullhorn, but usually he uses it" to talk.